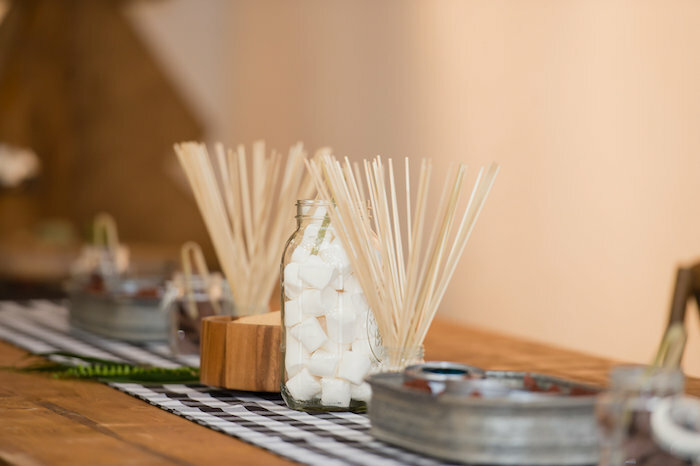 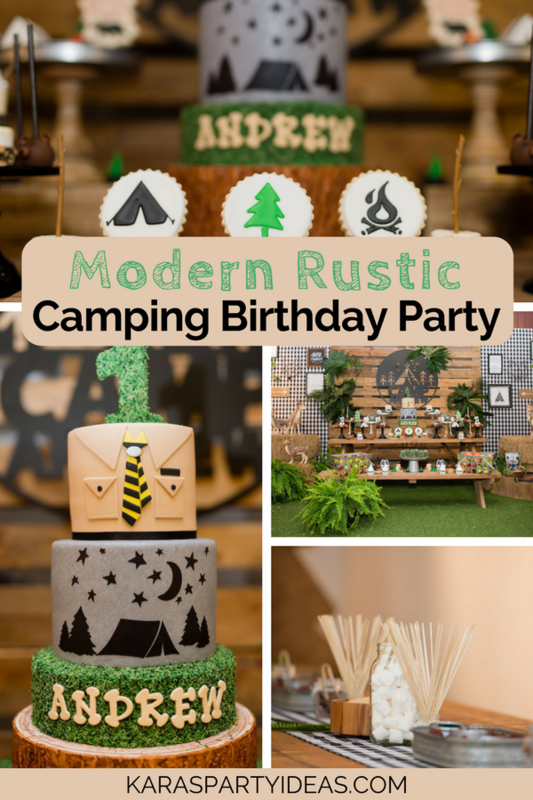 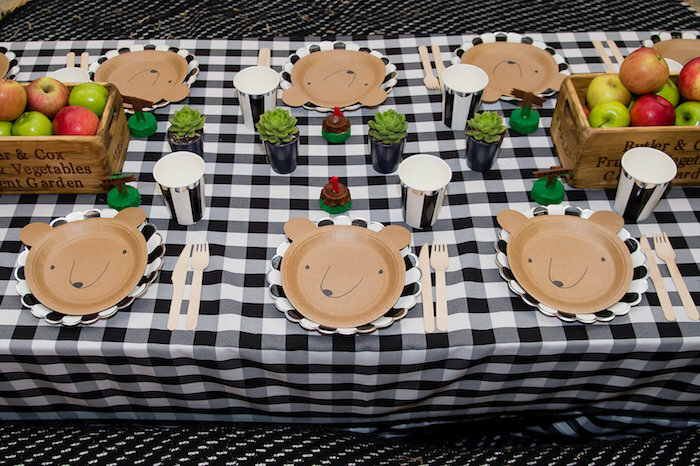 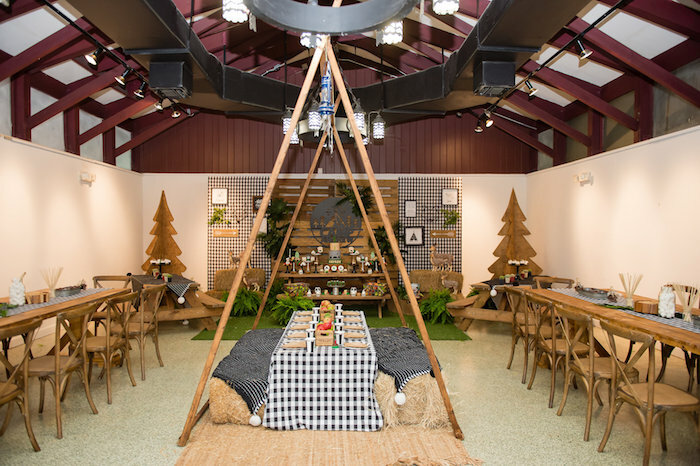 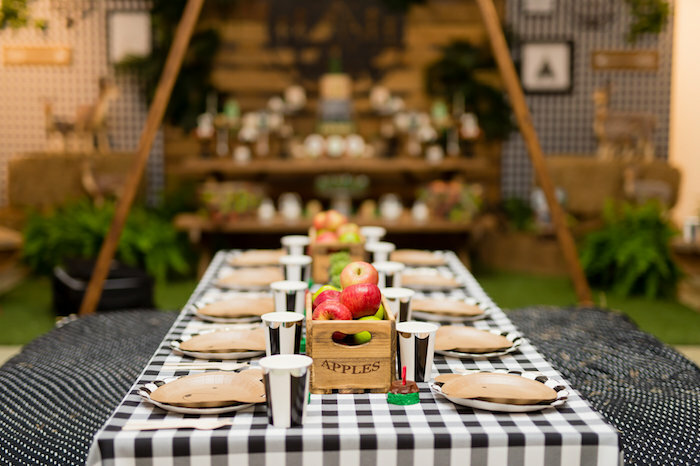 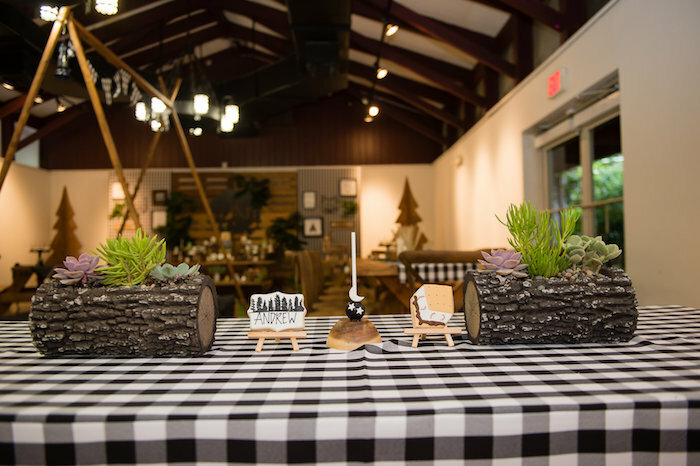 Tents, bears checkers and does, this Modern Rustic Camping Birthday Party is sure to curb your camper woes! 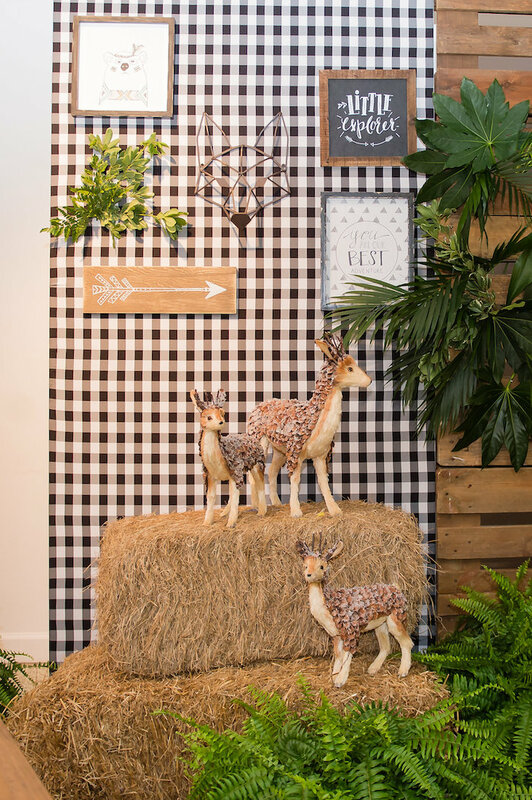 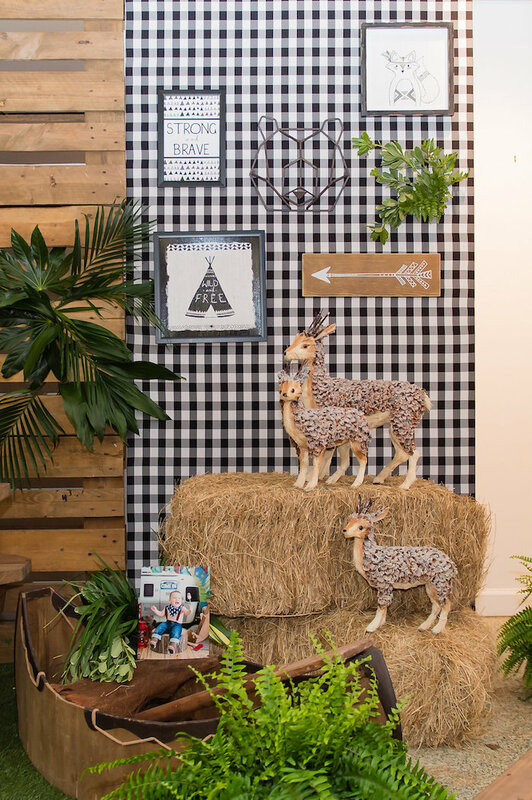 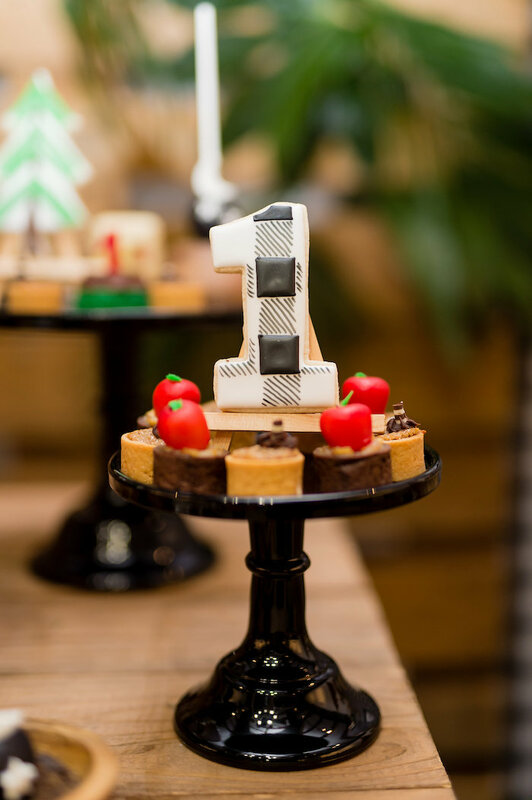 Decked out with the cutest modern decor, this adorable first birthday bash by Laila Plant of One Inspired Party, out of Pinecrest, FL, is sure to be adored! 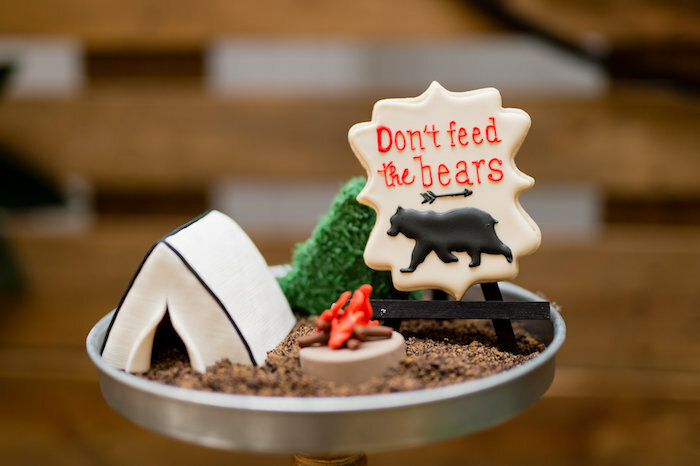 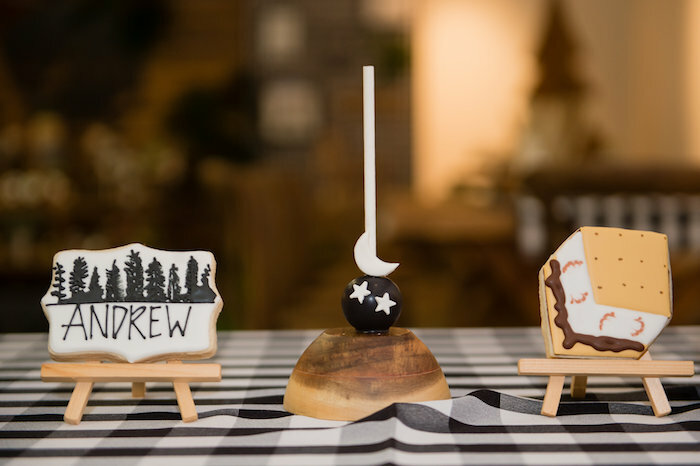 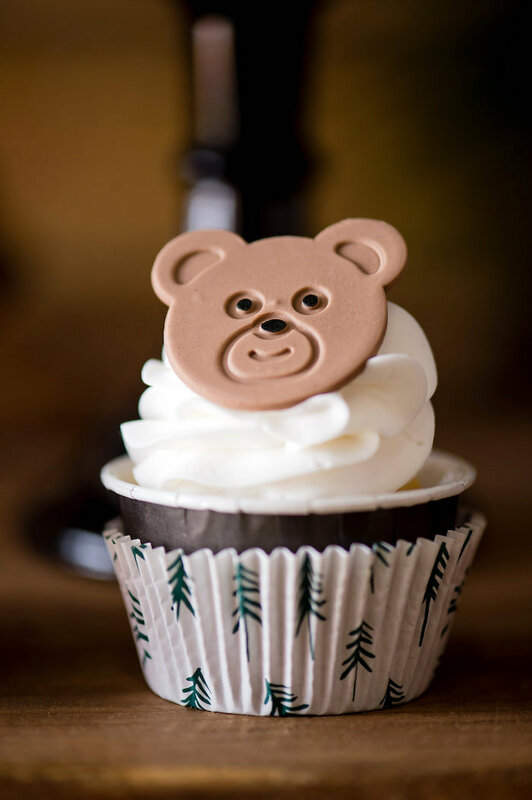 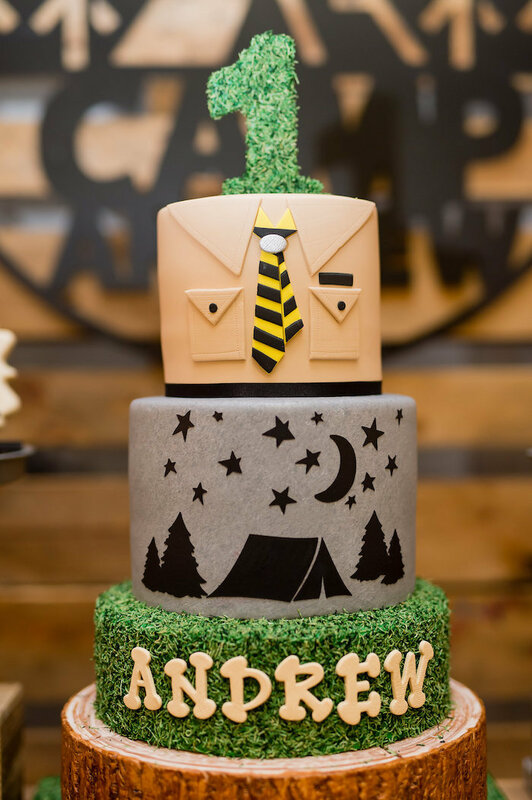 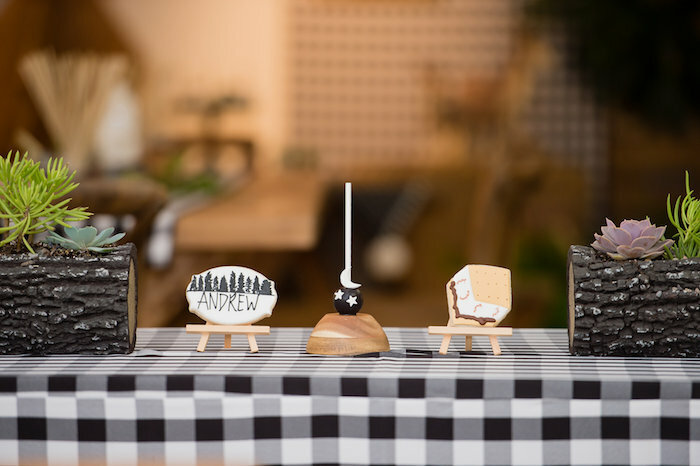 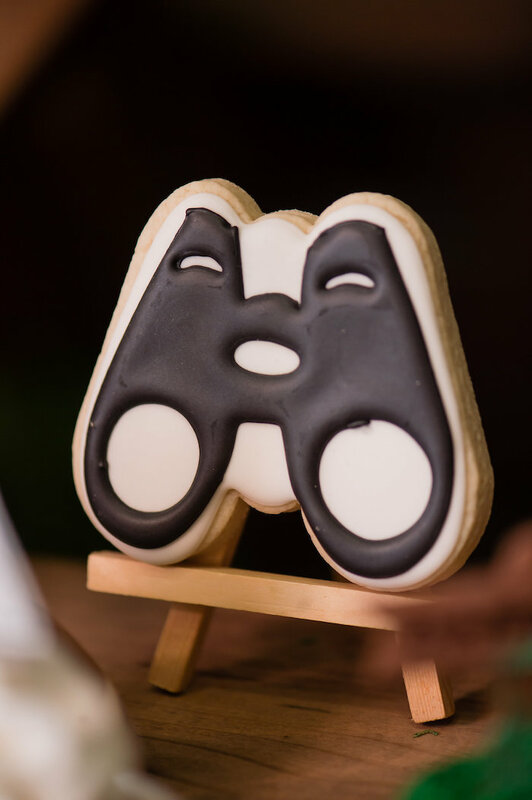 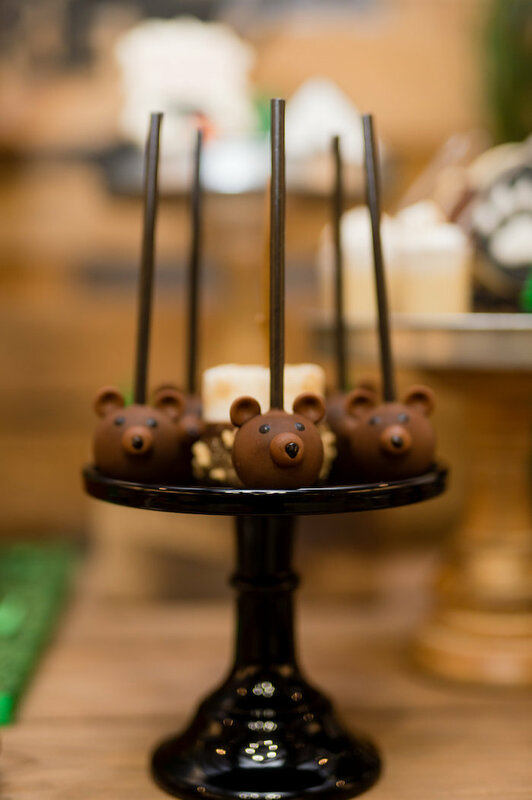 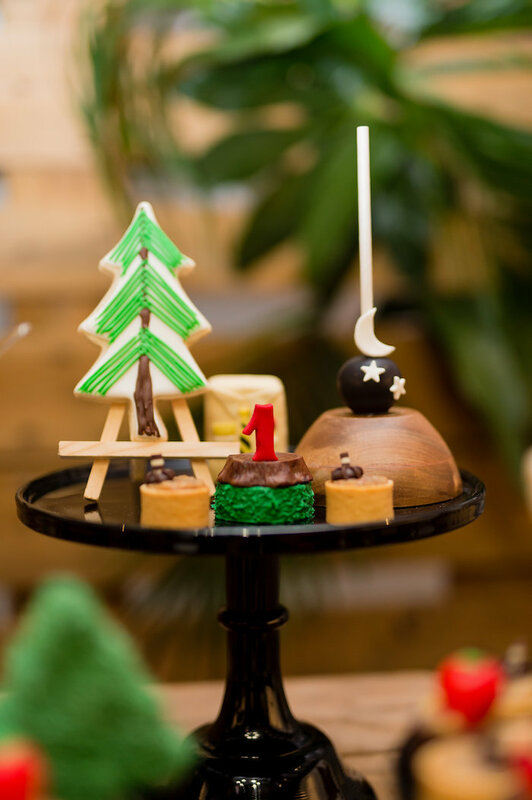 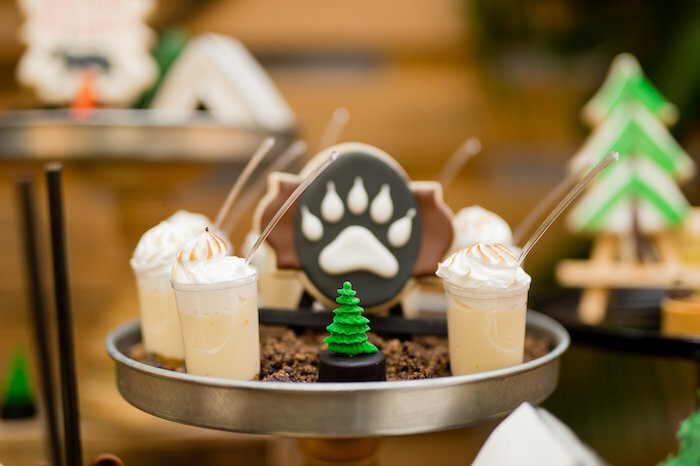 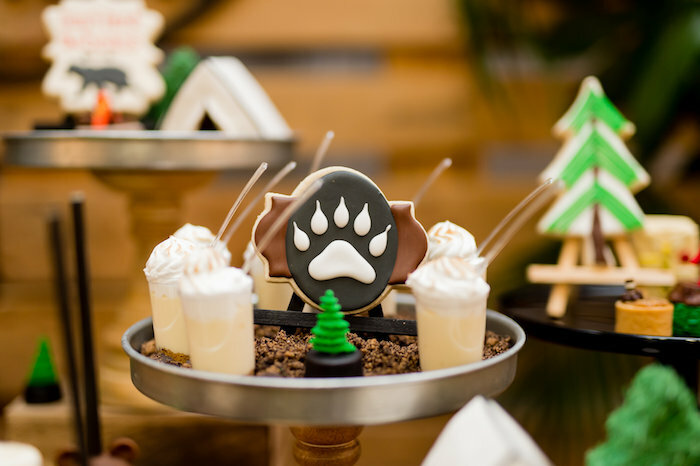 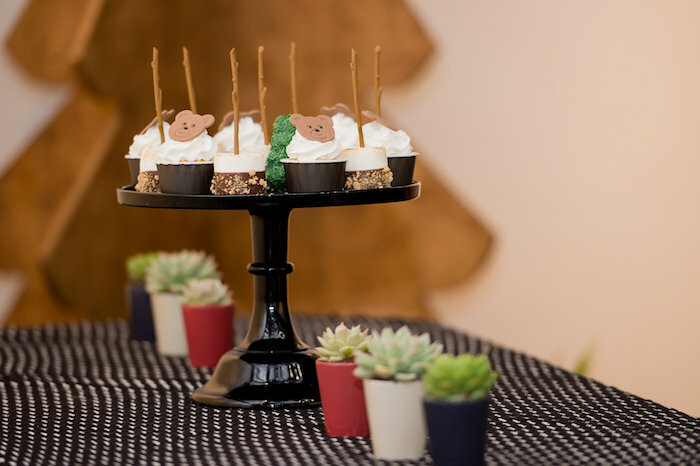 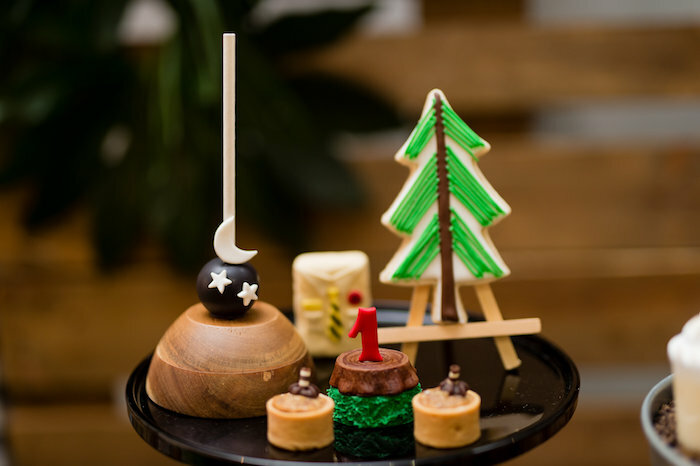 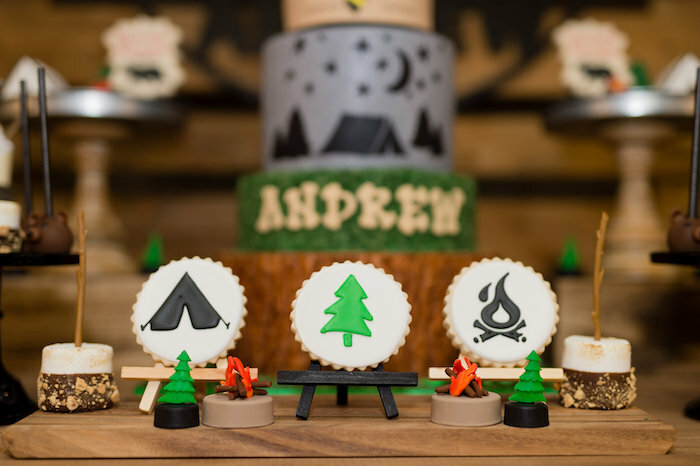 And the Cutest Custom Camping Themed Desserts, you’ll ever see! 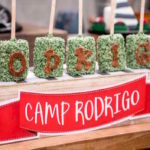 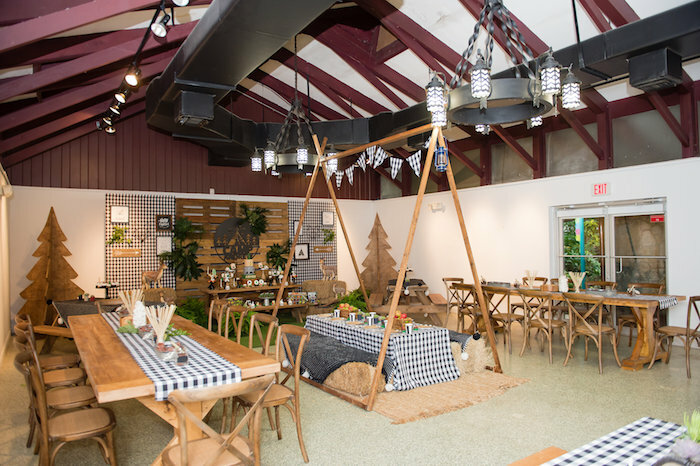 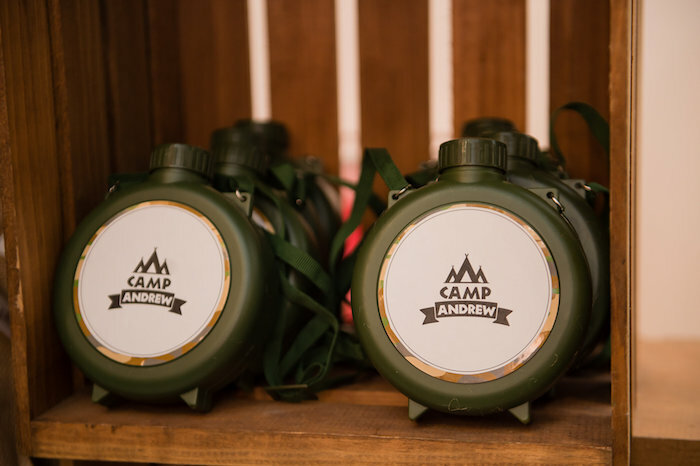 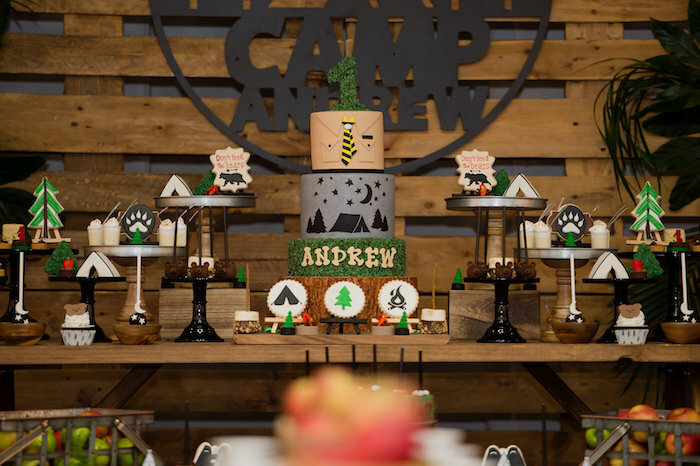 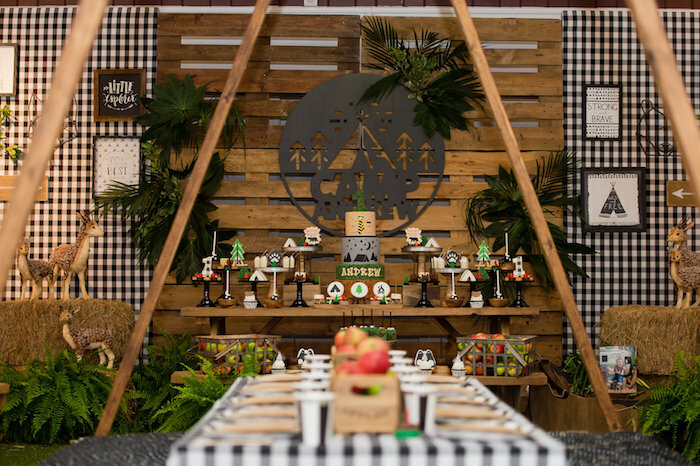 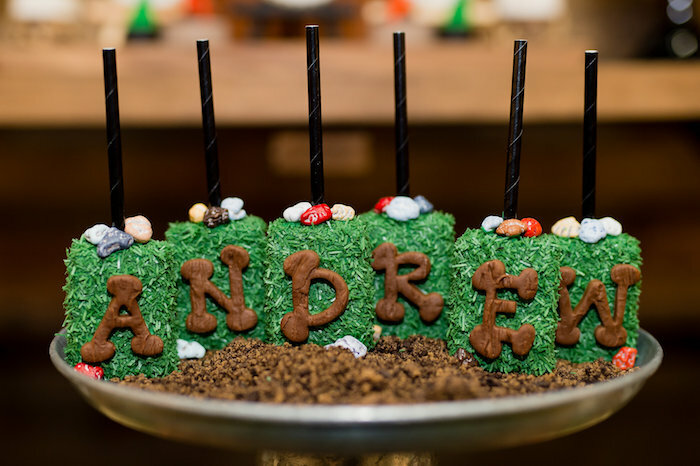 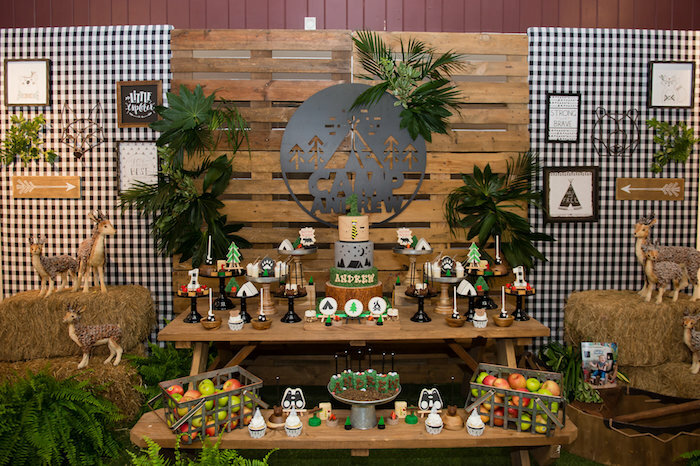 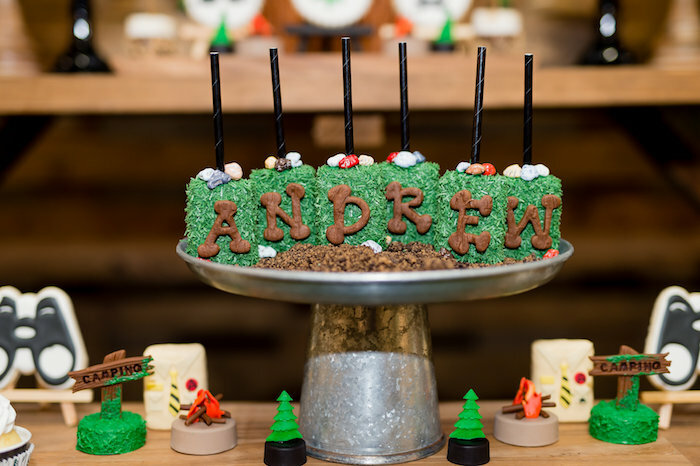 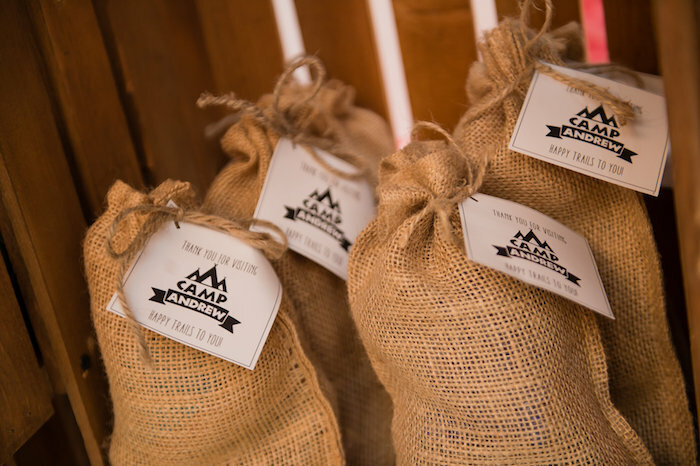 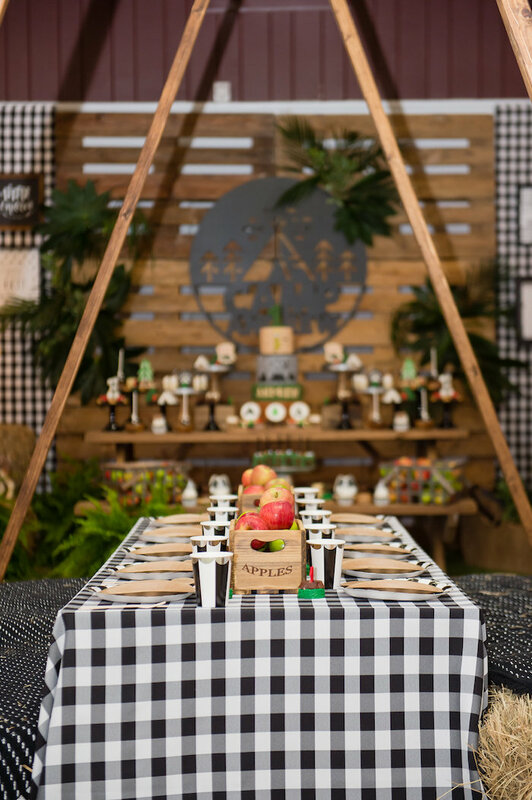 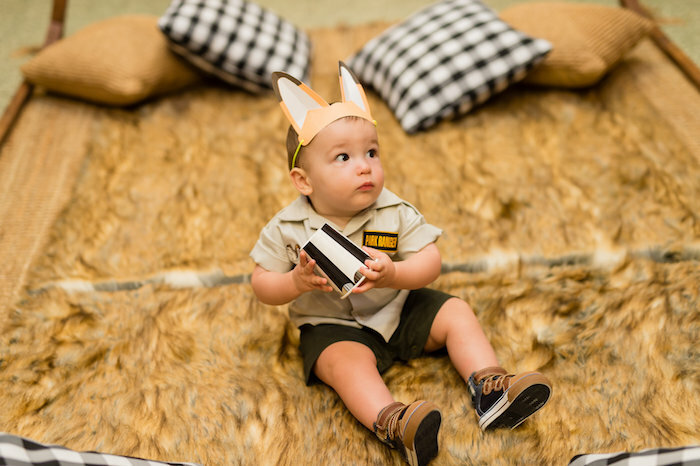 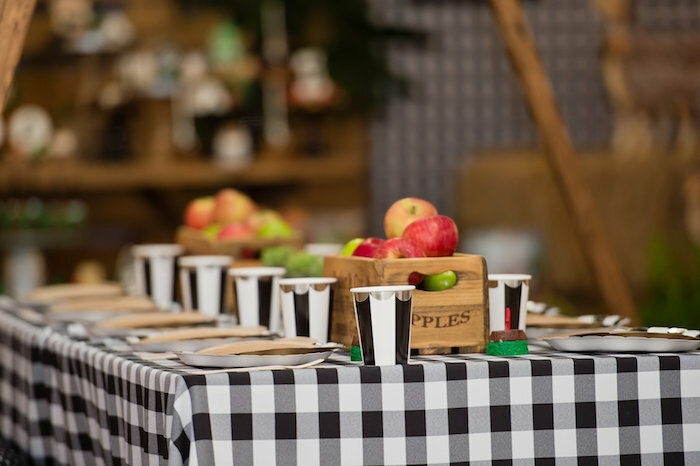 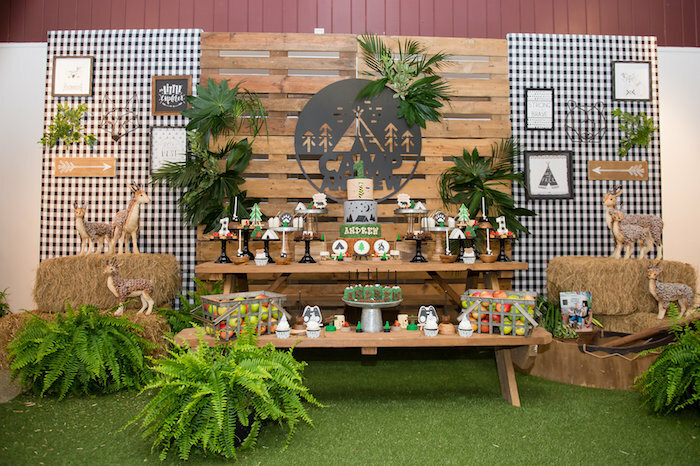 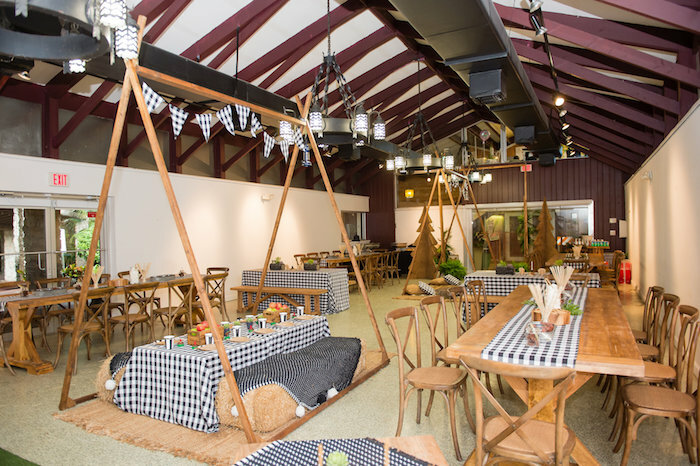 “For Andrew’s First Birthday, mommy and daddy wanted to celebrate with a camp themed party. 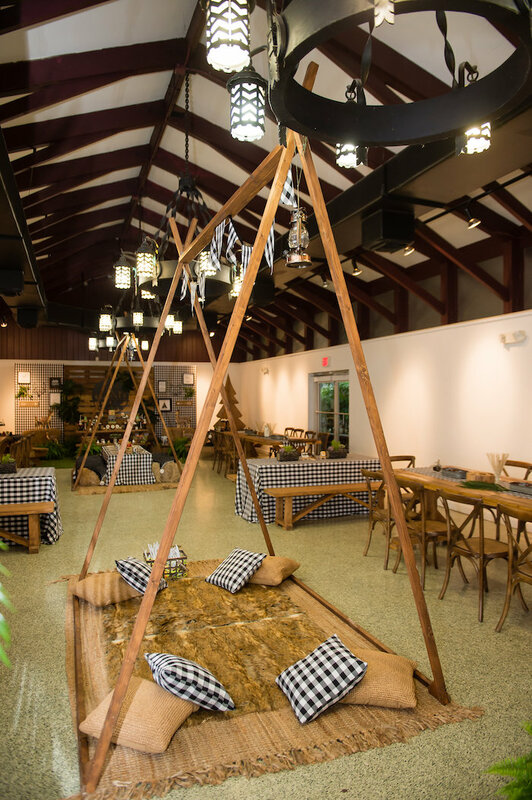 Having the space and knowing that the party was in the middle of Miami’s hot and rainy season, we looked for an indoor space. 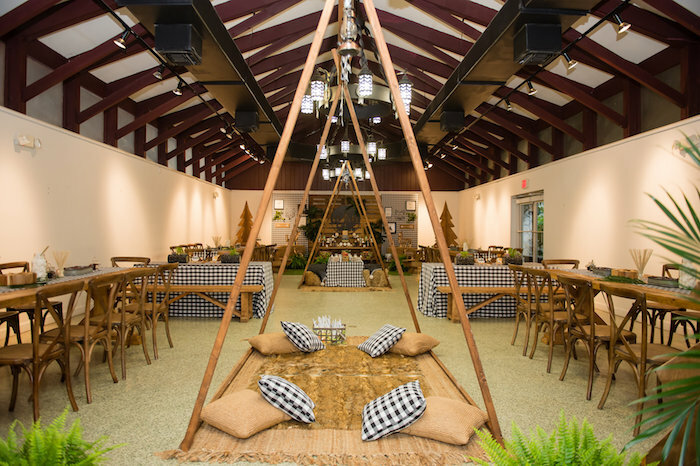 We had the great task of making this indoor space look like the great outdoors. 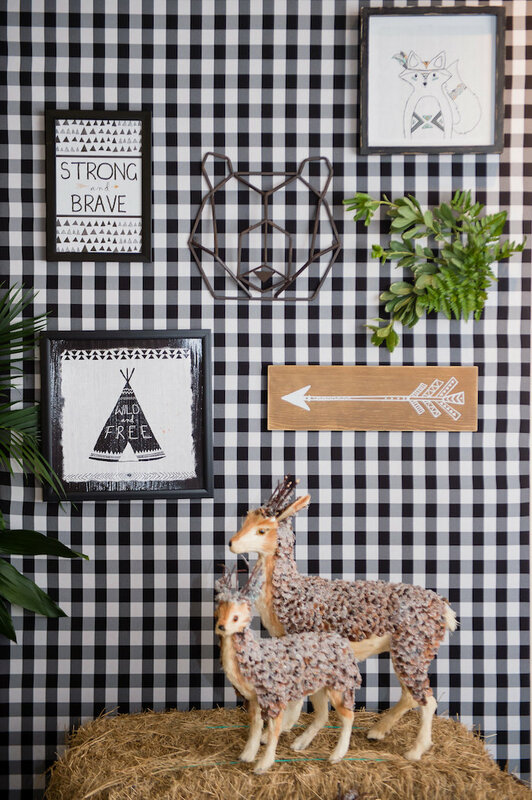 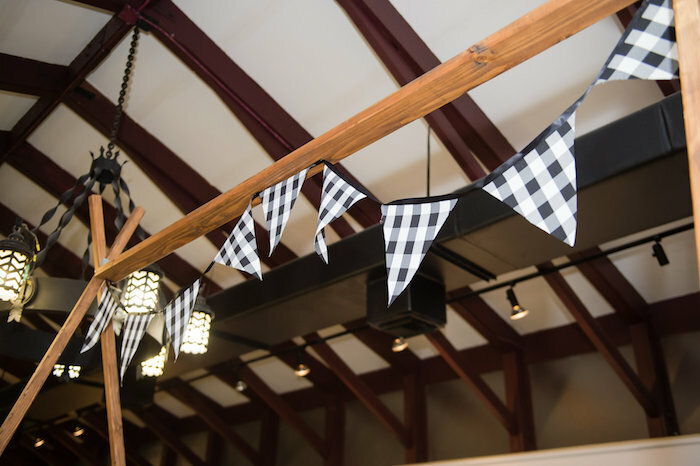 With a neutral palette in mind, we added some touches of black and white to make this celebration take a more modern approach and tie in our location. 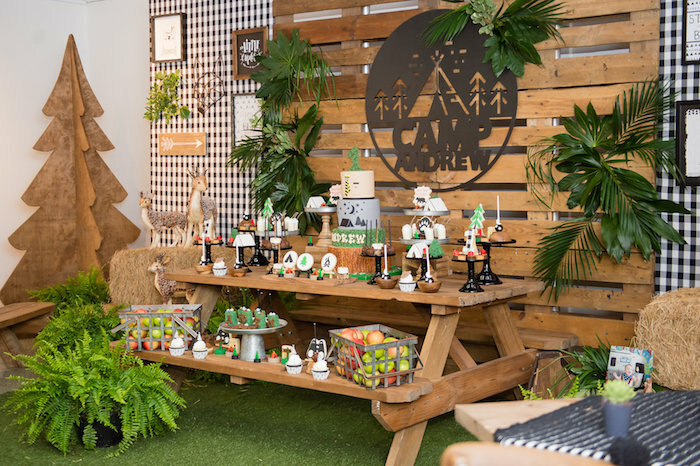 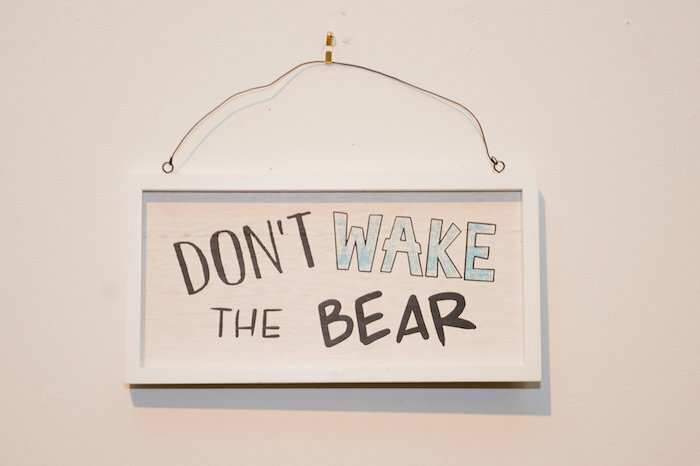 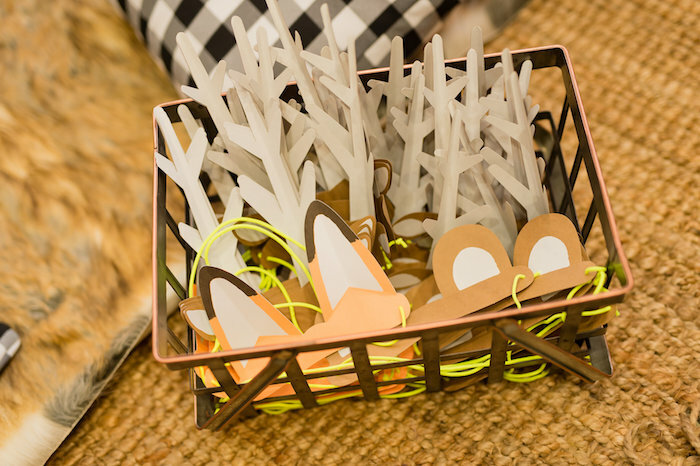 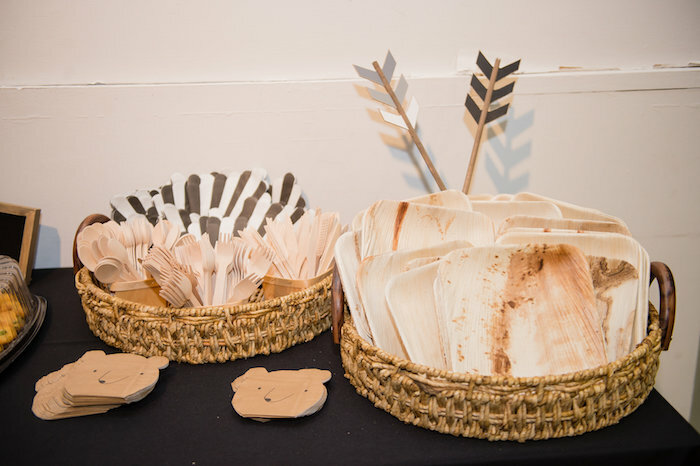 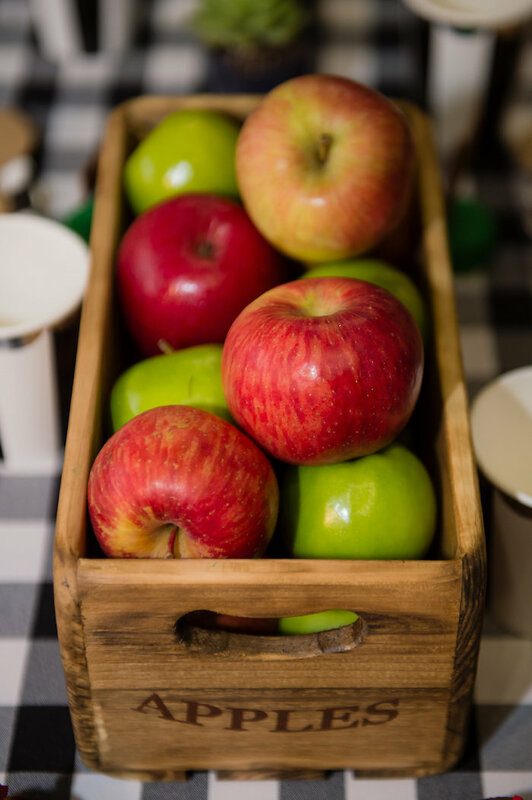 Don’t leave without seeing the details in this End of Summer Retro Camping Party!